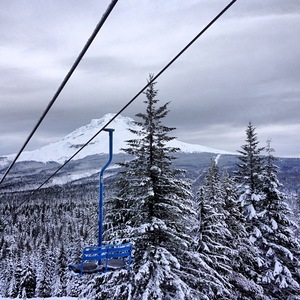 Is it snowing in Mt Hood Ski Bowl ?Thank you! 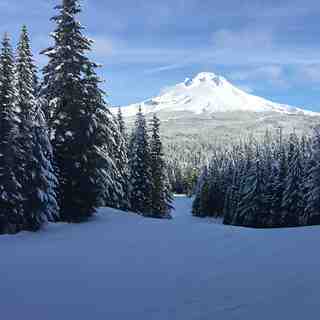 Mt Hood Ski Bowl, in the United States (Oregon State), is a medium sized ski resort with 9 ski lifts (4 chair lifts, 5 surface lifts) that offers skiers a respectable 457 metres (1500 feet) of vertical descent. 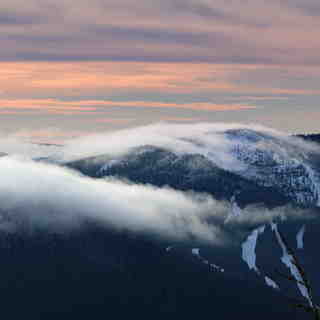 Mt Hood Ski Bowl has 1236 acres of terrain over 64 trails (34 trails are lit for night skiing and Skibowl is America's largest night ski area). Mt Hood Ski Bowl is evenly suited for both advanced and intermediate skiers and snowboarders but with some terrain for beginners. 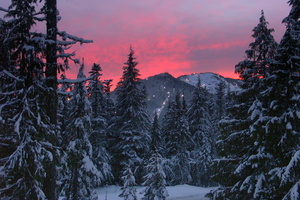 There are 70 kilometers (44 miles) of cross-country ski trails at Mt Hood Ski Bowl. For snowboarders, there are three terrain parks that are fully lit at night. The nearest airport is at Portland. There is accommodation located close to the pistes but we would welcome additional information about any hotels or chalets in Mt Hood Ski Bowl. Ski Bowl can be the best but most people like Meadows for better snow, faster lifts and all your friends are there. If you go to Meadows bring all your money and patience. Ski bowl is for a slower pace. 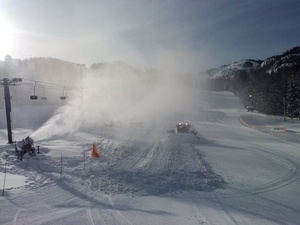 I like it better but I am old fashioned, kind of like Ski Bowl, old and slow.